Will Inhaled Insulin Really Take Your Breath Away? Mannkind’s inhaled insulin, Afrezza, was approved by the FDA on June 28, 2014. Its Dreamboat inhaler delivers a choice of 4u or 8u capsules of insulin powder. Capsules are prepared by loading insulin molecules onto pH-sensitive carrier particles and then drying and placing the powder into plastic capsules. The aerodynamic properties of the particles delivered by the device scatters the insulin powder deep into the lungs when inhaled. Once these pH sensitive particles contact the neutral pH of the lungs, they become a liquid and quickly absorb through the lung membranes. 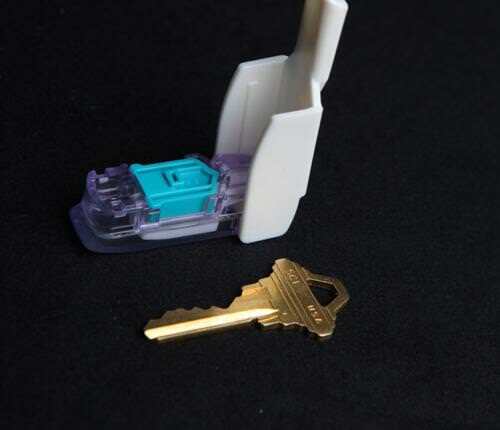 Who May Benefit From Afrezza? If Afrezza’s potency actually proves to be similar to injected insulin, capsule sizes of 4 or 8 units may be too large for people who use less than 30 or 40 units of insulin a day. From the 1800 Rule that calculates the dose of fast insulin needed to correct high glucose levels, a 4u capsule would lower the blood sugar about 120 mg/dl (6.7 mmol) for someone whose average daily dose of insulin is 60 units a day. Someone on 30 units a day will drop about 240 mg/dl (13.3 mmol) with one capsule and 480 mg/dl on an 8u capsule. This crude dosing might be contrasted with that of an insulin pump where one twentieth of a unit delivered with with precision equates to 1.5 mg/dl and 3 mg/dl declines in the glucose, respectively. A major benefit of Afrezza is its ability to quickly raise blood insulin levels. In Type 2 diabetes a major defect is the loss of first phase insulin release that gets quickly released from the pancreas after a meal and then reaches high levels in the portal vein that goes directly to the liver. Afrezza obviously does not mimic this pathway when delivered through the lungs to the peripheral circulation, but blood levels of insulin may rise faster and further with inhaled insulin. The FDA warns that Afrezza should not be used with drugs that slow digestion like Symlin or GLP-1 agonists (Byetta, Bydureon, Victoza) and that it cannot relace long-acting insulins. The real question, though, is whether Afrezza can replace fast-acting insulins. Once inhaled, the insulin level in the blood peak within 15 minutes and is mostly gone after 90 to 120 minutes as shown in Fig. 1B. Blood insulin levels (or pharmacokinetics) from 8u of Afrezza an be seen to rise rapidly as shown by the area under the solid black line in 1B. Although the peak and duration of Afrezza are different from those of Humalog, the total areas under the curve appear similar suggesting that an 8u of Afrezza seems to be delivering the same amount of insulin as an 8u injection of Humalog. However, ability of 8u of Afrezza to lower the glucose (pharmacodynamics), shown as the area under the solid gray line in 1A, is not nearly as large or “potent” as that of 8u of Humalog displayed under the dotted line. Afrezza shows a peak action at about 60 minutes with a duration of action of around 3 hours. Humalog shows its usual duration of action of 5 to 6 hours. If Afrezza and Humalog were really equivalent, the areas under the curve in 1A would be about the same and they clearly are not. Because its area under the curve is so much smaller, Fig 1A suggests that 8u of Afrezza is far weaker than an equal dose of Humalog. Afrezza’s glucose lowering capabilities can be compared with the pharmacodynamics of another inhaled insulin from Dance Pharma shown in Fig. 2 that is not yet FDA approved. 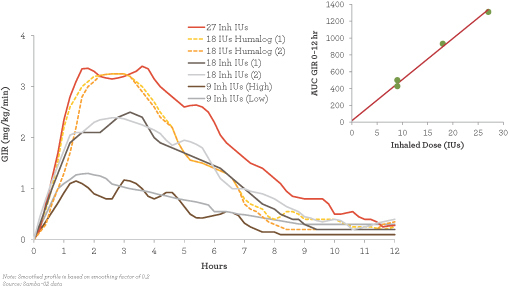 The glucose-lowering activity of 18 units of Dance insulin (the blue and gray lines about half way up in the figure) also appear less potent than 18 units of Humalog (the yellow lines), but Dance's inhaled insulin is much closer to Humalog’s activity than that of Afrezza in Fig. 1. It's duration of action is also quite similar to that of Humalog. In the product handout, the manufacturer says “it is unknown if the diminishing pharmacodynamic benefit at higher dosage of AFREZZA parallels that which is seen with subcutaneously administered insulin.” This suggests that the potency of inhaled Afrezza may not equal that of a similar dose of injected insulin. Its speed also comes into question in the product handout: “Despite the faster absorption of insulin (PK) from Afrezza, the onset of activity (PD) was comparable to insulin lispro” (Humalog). It is important to know how Afrezza works and who can use it appropriately, In head-to-head trials with Novalog, those who received Afrezza saw a reduction in their A1c levels, while those who took mealtime injections of Novolog showed a greater improvement in their A1c levels. The FDA is requiring post-marketing studies for Afrezza. These include research on its pharmacokinetics and pharmacodynamics to better characterize dose responses and to determine how its action varies from day to day by a person using it. not be appropriate for Type 1s on lower insulin doses a day. The most common side effects from Afrezza were hypoglycemia (low blood sugar), cough, and throat pain or irritation. Capsule sizes of 4 or 8 units may complicate dose accuracy. Afrezza may not eliminate the need for boluses or injections of a short-acting insulin for many people on insulin. Its action appears to disappear too quickly to prevent a late rise in BG after most meals. Smokers experience an even quicker rise in insulin and are advised against use. Exercise increases insulin transport and the likelihood of lows. Small decreases in air flow, a measure of lung volume, have been noted in research studies with both Afrezza and Exubera. People with asthma, COPD, and certain lung conditions should not use Afrezza, due to a dangerous complication called acute bronchospasm. Some concern remains about the long-term effects of inhaling a growth protein into the lungs. Although the risk appears low, post-marketing studies will monitor Afrezza users to see if there is any increase in lung cancer. See the full Afrezza Press Release for the full list of warnings and side effects. Over the years, various attempts have been made to capture part of the multibillion dollar injected insulin market. Five alternative sites of delivery have attempted to join the competitive injected insulin market: the upper nasal pathways, the oral cavity, the lungs, stomach, and intestines. Problems arise with several of these approaches. An insulin pill delivered into the stomach with its direct path into the portal vein and liver would be the perfect way to mimic a normal pancreas. However, steps have to be taken guard insulin molecules against acidity and digestive enzymes and then the large insulin molecules have to be transported through the intestinal membranes. Problems like this have stymied researchers for over 40 years. Delivering insulin into the small bath-towel-size area of the upper nasal passages means a large protein molecule must be transported across the nasal membranes. This requires very large doses of insulin or the use of a chemical to enhance insulin transport that often causes nasal irritation and a runny nose. About 100 units of insulin must be deposited into the nose to deliver 10 units into the blood and even a mild cold or stuffiness can alter the intended insulin dose. In contrast to nasal delivery, transport of insulin through the lungs allows delivery to a much larger surface area about the size of a singles tennis court. Absorption into the bloodstream occurs through the thin alveolar walls of the lungs. This appears to be the most promising approach for delivery at this time due to the large surface area over which it is spread. 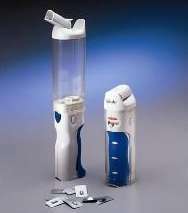 The FDA approved the first inhaled insulin, Exubera from Pfizer, in January 2006. It became available that September, 84 years after the first insulin injections were given. It was approved for those over 18 years of age with diabetes, but realistically was only appropriate for those who could handle large doses. Unfortunately, Exubera was removed from pharmacy shelves in October 2007 after it failed to gain the acceptance of patients and physicians. This failure occurred largely due to the bong-sized inhaler that it required. The inhaler weighed about 4 ounces and was about 12 inches long during delivery. Exubera may yet experience a revival. Dance Pharma, a San Francisco area company founded by a team that developed Exubera is reintroducing a similar product using the far more elegant OnQTM Aerosol inhaler. This already tested insulin in an improved inhaler shows promise. Other major players, Lilly (AIR insulin) and Novo Nordisk (AERX Insulin), began to develop inhaled insulins but both shelved their attempts in 2008. When asked one day how so many companies made a small fortune on inhaled insulin, hopefully historians will not have to say that it was only because they all started with a large fortune.